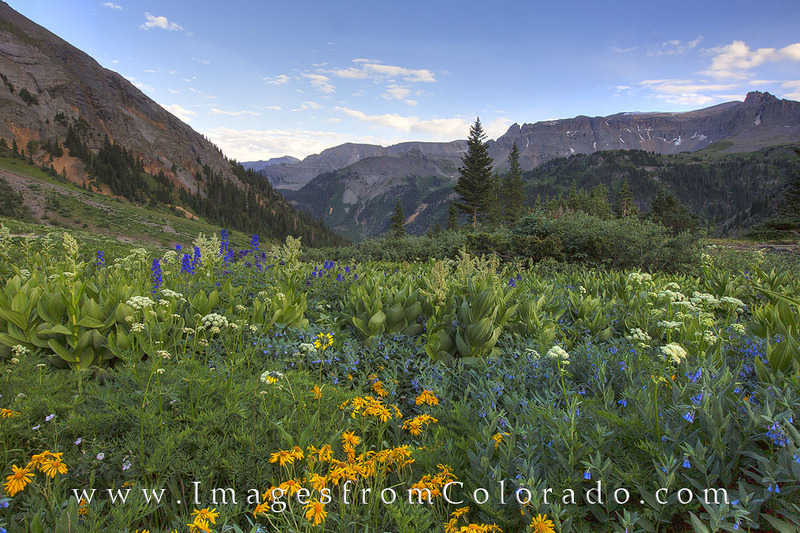 Summer wildflowers adorn the slopes and meadows of Yankee Boy Basin each summer. Just a short, bumpy drive from Ouray, Colorado’s “Little Switzerland,” the dirt road leading to this basin opens up a world to be explored. Further up the road from where this photograph was captures is a trailhead that leads to one of Colorado’s 14ers, Mount Sneffels. Photo © copyright by Rob Greebon.